George Moschakis was born in 1973 in Athens. He studied at the National Technical University in the Department of Surveying Engineering, graduating in 2000. Since then he has worked on various large and small engineering projects in Greece, while working with consulting firms in the technical area. He deals with the construction of scale models - historical dioramas and miniatures hobby since 1985 and professionally since 1995. Most of his creations are in private collections of collectors in Greece and abroad. He has won competitions awards in Greece (IPMS, and Athens Show), England (Euromilitaire), Paris ("AFM Montrouge"), Belgium (Antwerp, AMSS and Bridge 2011), Switzerland (Montreux WORLD EXPO 2011) and Italy ("Le Petit soldat"), Mfca U.S.A. Since 2000, deals with the historical research, illustration, painting and historical themes, and battlefield mapping. He has published articles in magazines, Soldatini (Italy), Modelling, Model Expert, Military History, War and History, Historical Pages, and Dourios Ippos (Greece) from 1999 until today. He has conducted dozens of creations and publications related to historical events and battles that are mainly connected with the Greek, and international history. Part of his work is shown on this website. 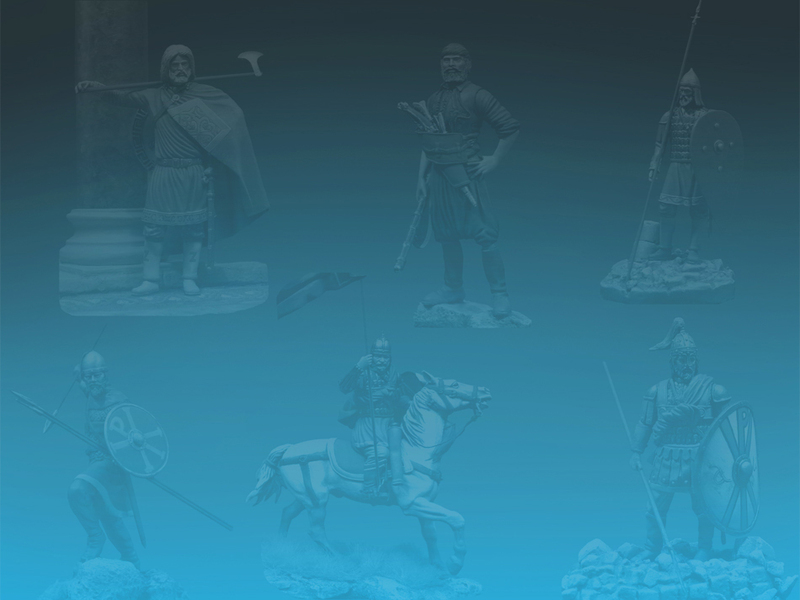 The long love and passion for historical miniatures led to the creation of AKRITIS MINIATURES. This effort is aimed at people with a passion for creation and history, modelers and collectors. The purpose of the founder and his associates is to create high-quality miniatures with unusual historical topics to be covered by comprehensive research and documentation. Our goal is to enjoy the handmade artwork that we share with you, and make your collection richer with more artistically created figures. Contact with him here .